At Freer Farm Surrey, we have been caring for much loved pets for over 25 years. 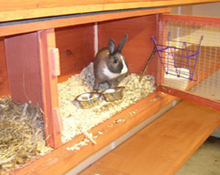 In 2009 we opened a new heated small animalboarding facility. 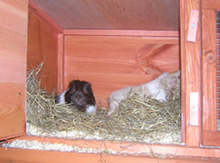 Rabbits, Guinea Pigs, Ferrets, Hamsters, Mice, Gerbils and all our small furry visitors can now experience the same kind of accommodation as our larger guests have enjoyed in the past. At Freer Farm we appreciate that moving cages and pens is an unwanted additional stress, especially when you are going away on holiday. 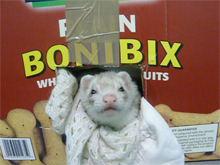 To resolve this problem for you, as well as food and bedding we supply accommodation for your pet. If however you prefer to bring your little ones home with you, we are happy to accommodate it. Our new secure and shaded outside runs will be completed by July 2009; which together with our renowned high level of care will make our smallest of guests stay a happy one. In a nutshell our standard package includes: Accommodation, hay, bedding, well known dry food, (probably Russel, Gertie, Reggie etc) and a good leg stretch in the runs. For those who wish additional service for their little ones. Special dry food (Excel), fresh vegetables and fruit can be prepared and supplied everyday. Please come and visit us, and or fill out the >booking enquiry form< and we will get back to you with availability and prices.